You have plenty of choices when it comes to finding a taxi company in West Horsley, but none offer the same level of comfort and efficiency that ClockTower Cars provides. Our professional drivers are always on hand to drive local and business passengers everywhere they need to go, whether it’s to the nearest airport, Surrey city centre or to a secluded spot among the beautiful North Downs woodlands of West Horsley itself. The quiet and serene semi-rural village of West Horsley treats its visitors to a wealth of beautiful countryside and peaceful scenery. Situated between Leatherhead and Guildford, this Surrey village has access to the North Downs, scenic public woodlands that are perfect for quiet scrolls, bird-watching and perhaps even a bit of landscape painting. The village is a haven where anyone can have a bit of peace and quiet, with plenty of landmarks to enjoy. From Sheepleas Woods to West Horsley Place, this village is perfect for quiet getaways. 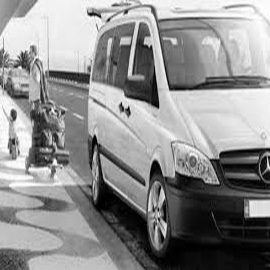 Wherever you want to be, our private hire services will provide with a comfortable and reliable ride to your destination. ClockTower Cars is dedicated to getting you from A to point B, whether you’re on a business trip for an important conference, need a private trip to a wedding or a party, or just want to take a trip through the village. We operate with an extensive fleet of vehicles ideal for any situation – just get in touch with the ClockTower team or find out more on our fleet page. Clocktower Cars cares about giving our customers complete peace of mind. That’s why each of our drivers undergo rigorous training to pass the standards of the DVSA and our high standards of expertise before they drive their first client. Each driver has been trained in Disability Awareness and has years of experience driving and chauffeuring passengers safely. 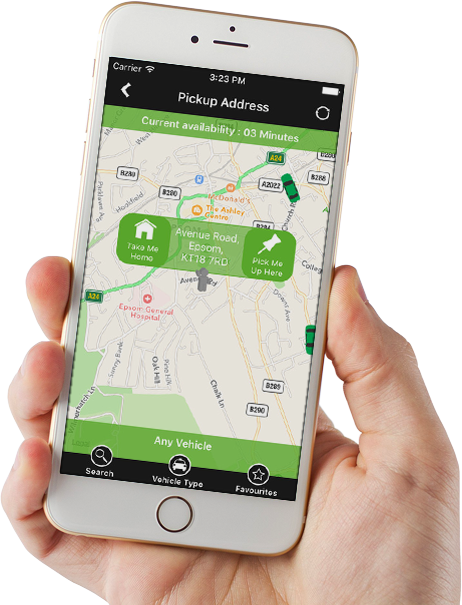 We also provide a free ClockTower Cars app, which lets you manage your journeys, pay for your transport, choose your preferred vehicle, create bookings, get live status updates of our services and even track our vehicles in real time. We fit each of our vehicles with GPS tracking technology that lets you keep up to date with the progress of your trip. 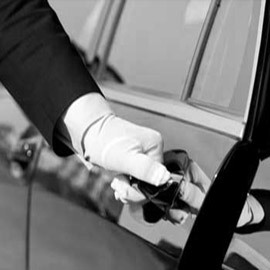 You can count on ClockTower for all of your private hire vehicle needs. We streamline your journey and provide you with a reliable taxi-service that ensures that they will get where they want to be on time, providing comfort and security all at a competitive price. My family regularly uses ClockTower Cars when I am away from home. Trips into town and the school run service. Cannot recommend them enough. I feel comfortable knowing that my family are left in the safe hands of the ClockTower team. ClockTower Cars has been my first choice for transport for the past several years – not only is the team highly competent and professional, but the cars are always in great condition and immaculate inside, which is important when I’m showing my clients around the town. Very few minicab firms compare to ClockTower Cars. I use their service regularly from their smartphone app – all I need to do is type in my desired destination, and one of their sophisticated cabs will be at my front door within minutes. The ClockTower team is great. Not only do they have great cabs and are always on time, but all of the drivers are friendly, knowledgeable about the local area and will always go the extra mile to satisfy their customers.